When Lauren was only two years old, her parents noticed a lump in her abdomen and got the worst news imaginable. Their happy, beautiful baby was diagnosed with neuroblastoma – a pediatric cancer of the nervous system. They immediately entered a world of chemotherapy, radiation, surgery, and too many side effects to mention. But after several months, Lauren’s tumor shrunk, and she was declared cancer-free. When her health improved, Lauren dreamed of being a cheerleader. She joined a competitive squad and even made her school team. She loved every practice, meet, and football game and she worked very hard to be her best. 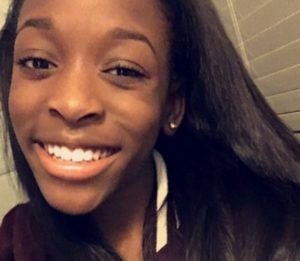 At 15 she was primed for high school cheering until she began experiencing hip and leg pain that sidelined her. Being so active, a doctor suggested that she had arthritis in her hips so her first attempt at recovery was physical therapy. The PT actually helped for a time; but the pain came back. In February 2017, an MRI revealed new lesions and she discovered that once again, neuroblastoma had invaded her body. In all, the imaging indicated 28 spots that were likely active tumors. The first four cycles of chemotherapy stabilized the tumor but didn’t shrink it. She moved on to immunotherapy which is supposed to attack just the offending cells and leave healthy cells undamaged. She spent alternating weeks in the hospital for over a year. That treatment failed also. Her next treatment consisted of a targeted radiation called MIBG therapy. After the treatment, Lauren’s follow-up MRI showed 18 spots remaining. That was a good reduction, but not enough. Her doctor recommended that she undergo MIBG again. But remembering the side effects she had the first time, Lauren didn’t want to do it until her mother talked her into it. The second round took her disease burden down to 14 spots and she cannot do radiation again because she has already received her lifetime maximum dosage. She and her doctors are now looking for other options to finish the cancer for good. In the mean-time, Lauren has been pain-free since March and her energy levels have returned to normal. She has a positive and hopeful attitude. She loves school and hopes to become a dermatologist when she grows up. CURE invests $4 million annually at leading pediatric research centers with one goal in mind: safer and more effective cures for childhood cancer that will allow children like Lauren the opportunity to live full lives and reach for their dreams. See how you can join us by visiting our website.